A wedding can be one of the most daunting events you’ll have to organise. With so much to coordinate, the secret to success is knowing what needs doing and in what order. Here’s our top tips for helping cut down the stress associated with organising your wedding. 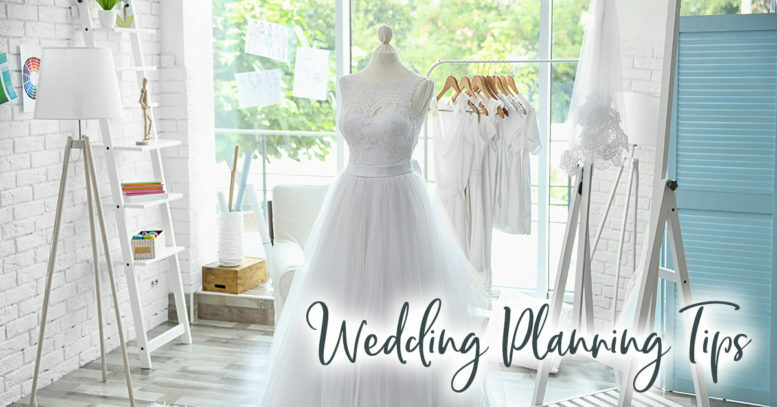 Start your wedding planning as early as possible. Not only will this help ensure your preferred suppliers are available, it also means less stress for you and everyone involved. A wedding has a lot of different things to organise and this undoubtedly means a lot of expense too. With so many different parts to factor in, it’s easy to overspend – if you don’t keep an eye on your choices. This doesn’t mean you need to have a definitive guest list, but you do need to have a rough idea.Not only will this have an impact on the venue size, it’ll also have an impact on your catering requirements too. Once you know your budget and a rough idea of numbers, you can start looking for a venue. It’s worth remembering that popular wedding venues book up at least 12 – 18 months in advance, so give yourself a decent head start, by booking up early. It’s understandable that key wedding essentials get booked up too – so start sourcing your photographer and wedding transport early too! Both the bride and groom tend to want to look their best on their wedding day. However, many leave personal changes to the last minute, often meaning crash diets, dodgy tans and lots of stress. If you plan what changes you’d like to make early, not only can you remove the stress, you can also make changes with sensible, well thought out changes. Organising a wedding is extremely stressful for everyone involved. It therefore makes sense to cut down on that stress, by enlisting the help of your bridesmaids, family and friends. You may want to do most of the organisation yourself, but it can honestly get overwhelming, fast! So take any help that’s offered – and ask if it isn’t. Finally, ensure you have some time to unwind and spend with your husband to be. It’s a stressful time so you need regular time outs.If you follow the seven tips above, you’ll have made a good start on your organisation plus, if you’ve taken note of the last tip, you’ll also have plenty of helping hands. So, delegate some tasks and put your feet up!